Light, compact and powerful, our portable outboards are always ready for action. The DF20A, 15A and 9.9B hold claim to being the world's first battery-less electronic fuel injection four-strokes in each of their power classes. Using all-new fuel injection system components designed smaller and lighter than those found in any previous system, Suzuki engineers succeeded in creating the lightest four-stroke in the 14.7kW (20PS)/11.0kW (15PS) class. 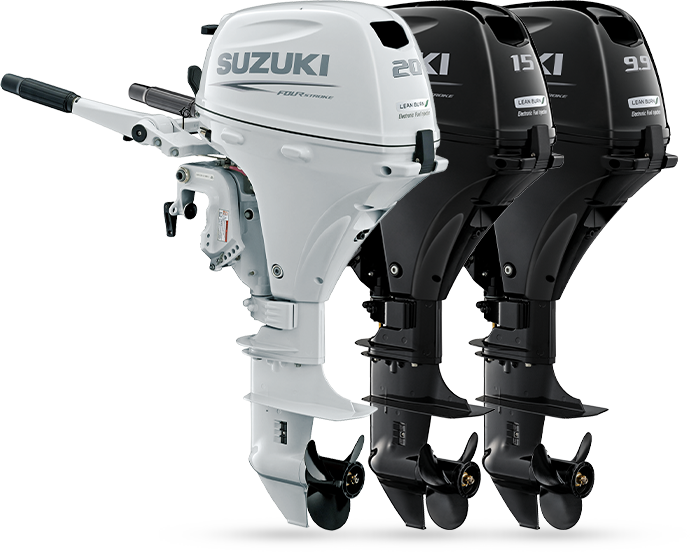 And adding Suzuki's proven Lean Burn Control technology to their design, these outboards deliver remarkable fuel economy and reduced emissions throughout their operating range. Suzuki four strokes are rightly famous for their fuel efficiency and technology that lets you go further, for less. In addition to the DF20A/15A/9.9B, Suzuki's portable lineup also includes four power tilt models which are the DF20AT and 9.9BT remote control models, and the DF20ATH and 15ATH tiller handle models. First introduced on our DF90A/80A/70A, the Suzuki Lean Burn system is an intelligent system that monitors engine performance and operating conditions to predict fuel needs and deliver a leaner fuel mixture to the engine. The system delivers remarkable improvements in fuel economy over the engine's entire operating range. 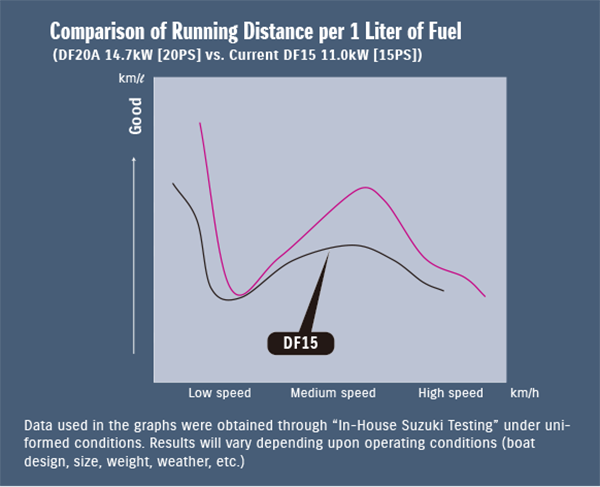 This system is found on 14 Suzuki models from the DF9.9B up to the flagship DF300A, providing boaters with top-level fuel economy at all operating speeds. These are the first outboards in their respective classes to offer fuel injection, and the DF20A/15A/9.9B engineering team did an incredible job designing the outboard without adding unneeded bulk or weight. All new components, including the inline high-pressure fuel pump, fuel cooler, vapor separator, fuel injectors, and a new throttle body, were designed as compact and lightweight as possible. The entire system was designed to fit in as little space as possible. The system operates battery-less, which is another industry first in the 14.7kW (20PS), 11.0kW (15PS) and 7.3kW (9.9PS) class. While fuel injection systems normally require battery power to deliver quicker starts, smoother running performance, and more acceleration in all conditions, Suzuki's Battery-Less system does this all without the need of battery power. The DF20A/15A's lightest in class title is the result of a complete redesign of parts and components, striving to create the smallest and lightest parts possible without compromising integrity. Succeeding in this, our engineers have delivered an outboard that even when configured with a power tilt system still weighs less than the any other outboard in the 4-stroke 14.7kW (20PS) /11.0kW (15PS) class. Along with better fuel economy, fuel injection also offers easier and more dependable starts in nearly any operating condition or environment. While our carburetor models are some of the finest outboards available, fuel injection gives these outboards even smoother operation with reduced engine vibration. 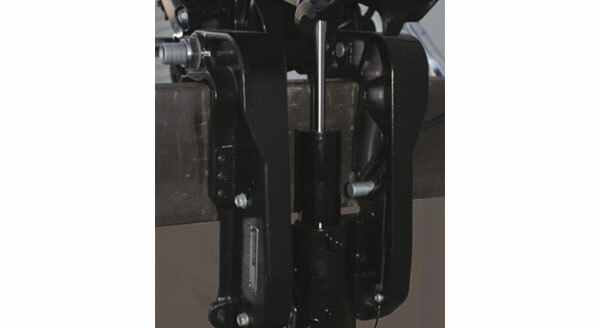 These outboards are equipped with starters specially designed with very light recoil loads. Combining the easy to pull starter with fuel injection makes starts exceptionally easy for almost everyone. 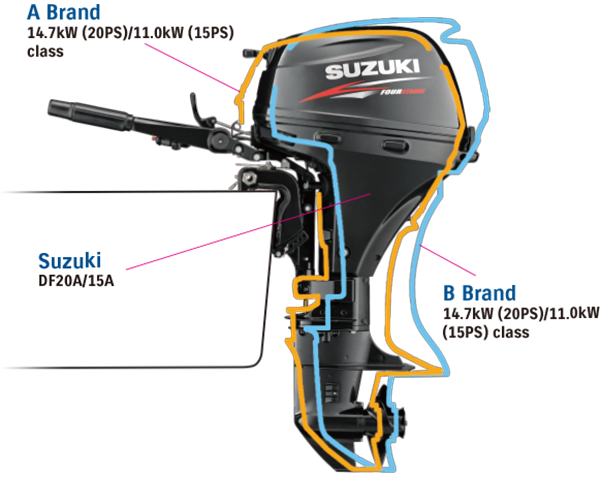 Suzuki protects the outboard's exterior from harmful corrosion with its own specially formulated anti-corrosion finish. Applying the finish directly to the outboard's aluminum surface, allows maximum bonding of the finish to the surface to increase durability and help protect parts that are constantly exposed to saltwater.